Remember the good old days when books were books and readers took time to leaf through them. 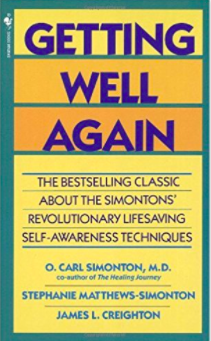 Nothing against electronics; just that many early self-help and Mind-Body Medicine books have been forgotten or neglected, despite being genuine classics. Simple in concepts, easy to apply; well worth reading and learning from. Is what you do now. Great books are nice to have on the shelf and dip into from time to time. And the fact is, books provide a wonderful, ongoing sense of direction, inspiration and support. What is noticeable is the fact that many books that were early in their field set out the key concepts, the most important techniques and being written as if addressing beginners, are easy to comprehend. Once fields like personal development, self-help and Mind-Body Medicine have been developed, authors seem to think they need to get complicated – both to say something new and perhaps to impress. As a result… harder to comprehend, more complicated techniques, sometimes even miss the key points. So here is a collection of books from the early days – the 70s and 80s that I value, those marked with an * being favourites. Enjoy! Meditation manual based on traditional Yoga texts, presenting a good range of specific techniques. Arya, U., Meditation and the Art of Dying, Honesdale, Pennsylvania, Himalayan International Institute of Yoga Science and Philosophy of the U.S.A., 1979. Combination of ancient Indian Wisdom and Philosophy and modern Western understandings—examines who we are and what is the meaning of life and death. Bailey, A., From Intellect to Intuition, New York, Lucis Publishing Company, 1970. The five stages of concentration, meditation, contemplation, illumination, inspiration explained. A means of seeking a direct spiritual reality. One of a series of valuable esoteric books; not easy to comprehend at first. Bailey, A., Letters on Occult Meditation, New York, Lucis Publishing Company, 1970. Explains mental techniques aimed at achieving speciﬁc results—either intense mental activity or stillness. * Benson, H., Beyond the Relaxation Response, London, Collins, 1984. Dr. Benson is a Harvard cardiologist. He travelled to Nepal to study Buddhist meditators and evaluate the physiological changes they can induce. He introduces the ‘Faith Factor’, as making the greatest difference. 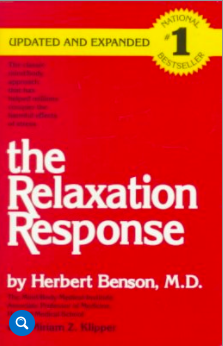 Benson, H., The Relaxation Response, London, Collins, 1975. A contemporary of Ainslie Meares, the American Benson examines the effects of stress on our bodies, the use of meditation through the ages and scientiﬁc validation of its effects. Focuses on the beneﬁts of meditation for heart patients but highly relevant and interesting for anyone keen on meditation. Besant, A., Esoteric Christianity, Adyar, Madras, The Theosophical Publishing House, 1901. A mystical examination of the essence of Christianity. * Brunton, P., The Hidden Teaching Beyond Yoga, York Beach, Maine, Weiser, 1941. One of Paul Brunton’s many excellent books, all worth reading. This one examines the difference between feeling or believing, and knowing, and how to make the transition. Dwells on the great question, Who Am I? * Cade, C. and Coxhead, N., The Awakened Mind, Hounslow, Middlesex, Wildwood House, 1979. An excellent pioneering text in biofeedback and the scientiﬁc investigation of meditation with EEGs. Chogyam, Trungpa, Meditation in Action, California, Shambhala, 1969. * Clynes, M., Sentics — The Touch of the Emotions, Garden City, New York, Anchor Press Doubleday, 1978. A revolution in understanding how we experience and communicate emotion, with a practical meditative method of clearing, stabilising and enhancing emotional responses. Drury, N. (ed. ), Inner Health, Sydney, Harper & Row, 1985. Health beneﬁts of relaxation, meditation and visualisation, with one chapter by Ian Gawler. Geshe, R. and Geshe, D., Advice from a Spiritual Friend, London, Wisdom Publications, 1977. Shows how, by gradually changing our attitudes to ourselves and others, we can quite literally learn to be happy and content in any situation. Focuses on loving kindness, compassion and wisdom. * Goldstein, J., The Experience of Insight, U.S.A., Shambhala, 1976. An excellent guide to Buddhist meditation techniques and philosophies as given at a 30-day retreat. This is the Vipassana style of meditation. Griffiths, B., Return to the Centre, Collins Paperbacks, 1976. A series of insightful essays or meditations on the Christian faith from this inspiring Benedictine monk. Father Bede established and lived in a South Indian ashram that blended Christian and Hindu philosophy and practices. Humphreys, C., Zen Buddhism, London, Unwin, 1949. An excellent presentation of Zen by the man who is renowned as probably the West’s greatest early exponent of Buddhism. One of his many worthwhile books. Le Shan, L., How to Meditate, New York, Bantam, 1974. A famous psychotherapist’s simple, straightforward approach to the many paths into meditation. Highly recommended. Long, M.F., Growing Into Light, Marina Del Rey, California, de Vorss,1955. One of Long’s excellent books on the beliefs of the ancient Huna people of Hawaii. Examines the traditional use of spiritual and mind power. * McDonald, K., How to Meditate, London, Wisdom Publications, 1984. Remains as one of the very best introductions to the many useful meditation practices of Tibetan Buddhism by a very lucid, California-born, Buddhist nun. McKinnon, P., In Stillness Conquer Fear, Blackburn, Victoria, Dove Communications, 1983. Excellent account from an agrophobic who overcame her fear with meditation under the guidance of the late Dr Ainslie Meares. Pauline has run a centre and taught Stillness Meditation in Melbourne for many years. Meares, A., Cancer, Another Way, Melbourne, Hill of Content, 1977. Zen style sharing of a meditative approach to cancer. Meares, A., From the Quiet Place, Melbourne, Hill of Content, 1976. Reflections in Zen style, suitable for healing meditation. * Meares, A., Prayer and Beyond, Melbourne, Hill of Content, 1981. Marks the steadily deepening spiritual insights that came to Dr Meares through his own practice of meditation and his work with many people gaining from meditation. The Self-Management of Tension, Anxiety and Pain, London, Collins/Fontana, 1967. A landmark book; a world first on therapeutic meditation and still highly readable and useful. A classic on meditation for personal healing. Meares, A., A Way of Doctoring, Melbourne, Hill of Content, 1981. A look at doctor/patient relations, silent communication skills, the value of meditation for therapist and patient. * Meares, A., The Wealth Within, Melbourne, Hill of Content, 1978. Here Dr Ainslie Meares, psychiatrist, describes in detail his simple yet profound approach to meditation, which he called Mental Ataraxis. Muktananda, Meditate, Melbourne, Siddha Yoga Foundation. The guru of Siddha Yogi shares speciﬁc introductory techniques to meditation and the philosophy that goes with them. Ramacharaka, M., Hatha Yoga, London, Fowler, 1960. A landmark introduction to the basic tenets of Yoga, wonderfully presented by this practical and erudite Indian Yogi. One of an excellent series by this author. * Ramacharaka, M., The Hindu-Yogi Science of Breath. 23rd Edition, Romford, Essex, L.N. Fowler, 1960. Looks at the importance of correct breathing in the practice of yoga and how to beneﬁt from it in everyday life and especially in conjunction with meditation. An excellent self-help guide first written around the turn of the 20th century (the 1900s) and here in a new edition. Rozman, D., Meditation for Children, California, U.S.A, Celestial Arts, 1976. A simple guide for teaching children to meditate. Sogyal Rinpoche, The Tibetan Book of Living and Dying. London Random House 1992. Comprehensive introduction to Tibetan philosophy and practices that is both readily accessible and quite profound. International bestseller – has sold over 3.5million copies and transformed many lives. Steiner, R., Knowledge of the Higher Worlds and lts Attainment, London, Anthroposophic Press, 1947. Introduction to Esoteric Meditation techniques and beliefs aimed at an understanding of the soul and superconscious for the man who established the Rudolf Steiner schools, Biodynamics and Anthroposophical Medicine. Suzuki, Dr., Zen Mind, Beginners Mind, John Weatherhill, Japan, 1970. Puts the basically non-intellectual Zen approach into an approachable form - the art of being here now. A classic on Zen meditation. * Thick Nhat Hanh., The Miracle of Mindfulness, Boston, Beacon Press, 1976. Vietnamese Zen master’s masterful presentation on the nature of Zen, complete with many practical suggestions and exercises. Excellent book. * Bach, R. , Illusions, London, Pan/Heinemann, 1977. 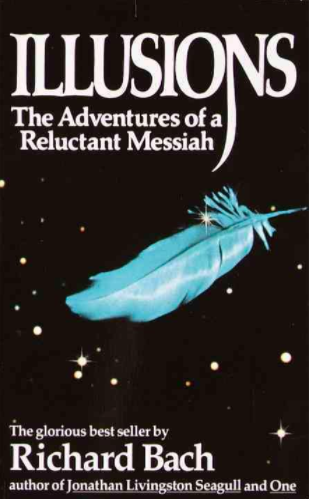 The adventures of a reluctant Messiah and his contact with a man seeking to understand his own reality—a positive delight! First published in 1977, the story questions the reader's view of reality, proposing that what we call reality is merely an illusion we create for learning and enjoyment. Illusions was the author's follow-up to Jonathon Livingstone Seagull – and a much more worthwhile book in this author’s opinion. Bandler, R. and Grinder, J., Frogs into Princes. Moab, Utah, Real People Press, 1979. One of the basic texts explaining Neuro-Linguistic Programming, a very effective and simple way of creating a positive experience of life. * Capra, F., The Tao of Physics, London, Fontana, 1983. 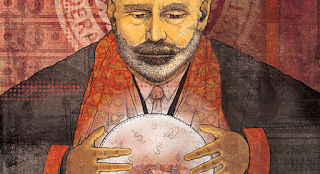 A powerful examination of the similarities between physics and the ancient wisdom of the sages. Corsini, R. et al., Current Psychotherapies: 3rd Edition, Hasca, Illinois, F.E. Peacock Publishers, 1984. A comprehensive and readable review of the many psychotherapies available in the 80s – still relevant. * Cousins, N., Anatomy of an Illness as Perceived by the Patient, Sydney, Bantam, 1981. . Personal testimony of the united efforts of a patient and physician to overcome the effects of a crippling condition, mainly through the use of positive attitudes and Vitamin C. Cousins examines the role of the placebo effect and laughter in this excellent, readable book. Cousins went on to become one of the Mind-Body pioneers. Bono de, E., The Use of Lateral Thinking, Ringwood, Victoria, Penguin, 1971. One of the author’s best of many books on ways of developing creative thinking. Dyer, W., Your Erroneous Zones, New York, Avon, 1976. Good practical advice on how to improve self-esteem and take control of your own life. Frankl, V., Man’s Search for Meaning, New York, Pocket Books, 1963. The major book of this psychiatrist, survivor of Auschwitz and originator of Logotherapy or Existential Analysis. Often referred to in our groups. * Glasser, W., Positive Addiction, Sydney, Harper & Row, 1985. 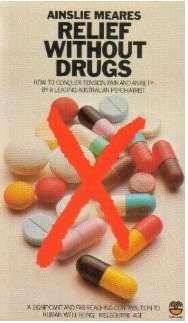 The author urges readers to gain strength and self-esteem through positive addictions rather than negative ones such as smoking and drugs. He recommends running and meditation to help us achieve a better quality of life. * Harrison, J ., Love your Disease—-It’s Keeping you Healthy, Angus & Robertson, Sydney and London, 1984. Explores the psychological needs for illness- how illness is often our best way of coping, why we often need to be sick and how we can choose to be healthy. 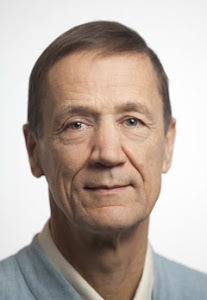 Hutschnecker, A., The Will to Live. New York, Simon & Schuster, 1951. 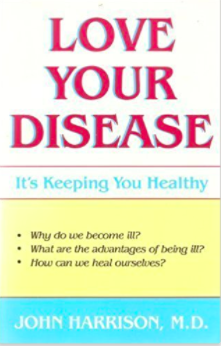 Shows how to avoid illness by understanding the emotional disturbances that can cause it. Presents a simple and effective plan for healthier, more secure living. * Jampolsky, G.G., Love is Letting Go of Fear, Sydney, Bantam, 1981. This is a book about self-fulfilment through giving. By transforming our own outlook on life, we can change how we perceive the world, the people in it and, finally, ourselves. Le Shan, L., You Can Fight for Your Life, Wellingborough, England, Thorsons, 1977. Offers insight into why some individuals get cancer and others do not, and gives examples of those who have been able to fight against the disease. * Levine, S. , Who Dies? An Investigation of Conscious Living and Conscious Dying, Garden City, New York, Anchor Press/ Doubleday, 1982. A very positive book which gives fresh insights into the process of living and dying. This book has been used as a manual to help many families navigate end of life situations. Levine believes that by being fully open to each moment of life we are preparing for death. Includes meditations on pain control and dying. * Maltz, M., Psycho-Cybernetics, Sydney, Bantam, 1978. One of the great – and original – books on positive thinking. Psycho-Cybernetics concerns directing our mind to a positive self-image, to fulfilment as a human being. The author guides us in steps to relaxation and self-acceptance. Moody, R., Life After Life, Sydney, Bantam, 1976. Stories of those who have been pronounced clinically dead but recovered and reported having experienced startlingly similar experiences. Murphett, H., Sai Baba: Man of Miracles, Maine, U.S.A., Samuel Weiser Inc., 1973. Excellent introduction to the Indian Holy man, Satya Sai Baba, who has been compared with Christ and Buddha for his phenomenal powers and spiritual message. * Persig, R., Zen and the Art of Motor Cycle Maintenance, London, Corgi,1974. The journey of a man in search of himself — full of insights into our most complexing contemporary dilemmas. Sandweiss, S. H., Sai Baba, the Holy Man . . . and the Psychiatrist, San Diego, California, Birth Day Publishing Co., 1975. Sai Baba is an Indian spiritual leader who, it is claimed, has superhuman powers. Samuel Sandweiss is a psychiatrist who insightfully describes his time in India with Sai Baba and relates his beliefs. * Shinn, F., The Game of Life and How to Play it, Marina del Rey, California, De Vorss, 1925. One of the oldest and very best books on positive thinking. If you were to read just one book on that subject, this may well be the book to choose. The author sees success in life coming through positive thinking and trust in God. Good sections on affirmations. Silva, J., The Silva Mind Control Method, New York, Pocket Books, 1977. The text that explains the famous Silva Mind Control program and elaborates on principles of creative visualisation. * Simonton, O.C., Getting Well Again, Sydney, Bantam, 1978. Emphasises the power of positive thinking and visualisation in contributing to the better health of cancer patients. Quotes many patients’ experiences and gives advice to families of patients. A pioneering work highly recommended. * Simonton, S.M., The Healing Family, Sydney, Bantam, 1985. Still one of the best books for patient and family. Most positive and practical approach to helping families come to terms with a major illness and to create the most favourable environments for recovery. Wilber, K., Quantum Questions, Boulder, Colorado, Shambala Publications Inc., 1984. The mystical writings of the world’s great physicists. What attracted these great scientists to a personal experience of mysticism? Yogananda, P. , Autobiography of a Yogi, Bombay, Jaico Publishing House, 1983. 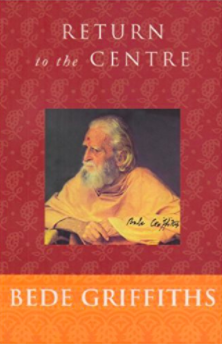 Classic autobiography of a great Hindu yogi describing his search for a teacher and his truly extra- ordinary experiences with the many adepts he spent time with. This retreat is now fully booked with a waiting list. Thank you for sending this list of the collection of books you value. It is so helpful to have. Since I attended the Meditation Retreat with you and Ruth in April this year (which I found deeply inspirational) I have been reading and re-reading books, some of which are on your list, and including the books you have written. At the moment I am reading "Th Will to Live" by Arnold Hutschnecker, which I got out on an inter-library loan from the University of Western Australia. Having your list will assist me in further seeking out books which are inspiring and helpful in gaining health. This is of great value and importance to me and for this I wish to thank you. I also want to thank you for the information you offer via your blog - I find it very helpful and inspiring. Hi, I loved browsing through your list of recommendations. It was exciting to see the publication dates of the selections as I realized there were many great thinkers back in the “olden” days. That fact moved me already into a happy space for this Monday morning! I am going to print your list and start reading some of your suggestions. I will start searching and I hope I can locate copies. Thanks so much! Take care.